Sean, a Property Management employee talks with colleague Jose about his experience on StoryCorps. 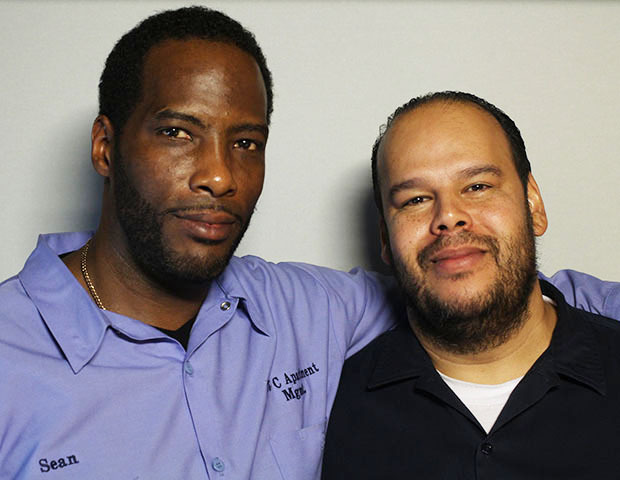 Hear his story about being reunited with his family, working first with Construction, and what it means when companies like L+M are willing to provide employment opportunities to those formerly incarcerated. Listen to his story here. This interview was produced by the New York State Association for Affordable Housing (NYSAFAH) and recorded by StoryCorps, a national nonprofit whose mission is to provide Americans of all backgrounds and beliefs with the opportunity to record, share and preserve the stories of our lives. Read more stories at storycorps.org.